One easy way to drive engagement on social media with your business is to set up your Facebook business page to allow check-ins. By taking a few simple steps, you can make it easy for your loyal customers to notify their friends when they do business with you. These check-ins show up in the feeds of that customer’s Facebook friends, creating more opportunities for people to see and follow your business on Facebook — and maybe even become customers themselves. You’ll need admin access to adjust settings on a Facebook business page. If you’re not the page owner, you may need to request admin access from the owner of the page by liking the page and asking the owner to add your email address to the list of designated page administrators. You will then take the following steps. Step 1: Change your business page’s category to a Local Business by clicking on Settings at the top of the page, clicking on Page Info in the left column, clicking on Category and selecting Local Businesses from the first dropdown menu. Step 2: Select a category for your business (e.g. Restaurant/Café) from the second dropdown menu and save your changes. Step 3: Add your business address to your page by clicking on Settings, clicking on Page Info and then clicking on Address to enter the address. Step 4: Check the box next to Show map, check-ins and star ratings on the page. Save your changes. Now customers will not only be able to check in at your business, but they will also be able to rate and review your business, giving you more opportunities to interact with customers and get feedback on your products and services. 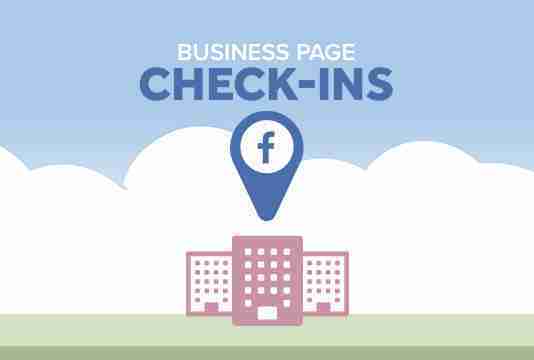 Allowing Facebook check-ins makes the most sense for businesses that primarily do business at their storefront or physical location, such as restaurants, coffee shops, retail stores, event centers, etc. If you own a business that primarily involves going to the customer, such as a plumbing or electrical business, enabling check-ins would not provide as much benefit in boosting engagement. However, businesses such as these can still benefit from enabling Facebook ratings and reviews. Bigfin.com LLC is an industry leader in digital advertising, search engine optimization and web design. Our comprehensive digital marketing solutions include social media marketing on Facebook, Twitter, Google+, Pinterest, LinkedIn and other social outlets. Looking for email marketing solutions or help with local organic search? Contact us online or by phone at 425-822-8200.